VSQ @PJ City Centre, B-2, Unit 13A-01, Jalan Utara, Section 14, 46200 Petaling Jaya, Selangor, Malaysia. There is no better way to excel in the creative industry than to be taught by the only creative communication specialist college in Malaysia. 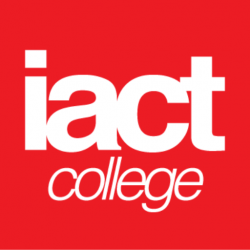 IACT College, also known as International Advertising, Communication and Technology College was founded in the 1970s by the Malaysian Advertisers Association (MAA) and the Association of Accredited Advertising Agents of Malaysia (4As), Malaysia’s largest advertising associations. IACT College is a specialist college known and trusted by the industry to continuously provide an industry-relevant learning environment that mirrors current industry standards and practices. Coupled with a wholistic teaching method and curriculum, students not only excel in their studies but also develop useful life skills.